Let’s celebrate the arrival of sunflowers, a beautiful, tough plant that flourishes in places as diverse as suburban gardens and the banks of the LA River. One of my most moving sunflower experiences was driving through Orleans County on the south shore of Lake Ontario and seeing miles and miles of fields filled with sunflowers with enormous blooms. Sunflowers spring up in California, despite the challenging climate there. Sunflowers o the banks of the LA River appeared in the Friends of the Los Angeles River’s State of the River: the Long Beach Fish Study. 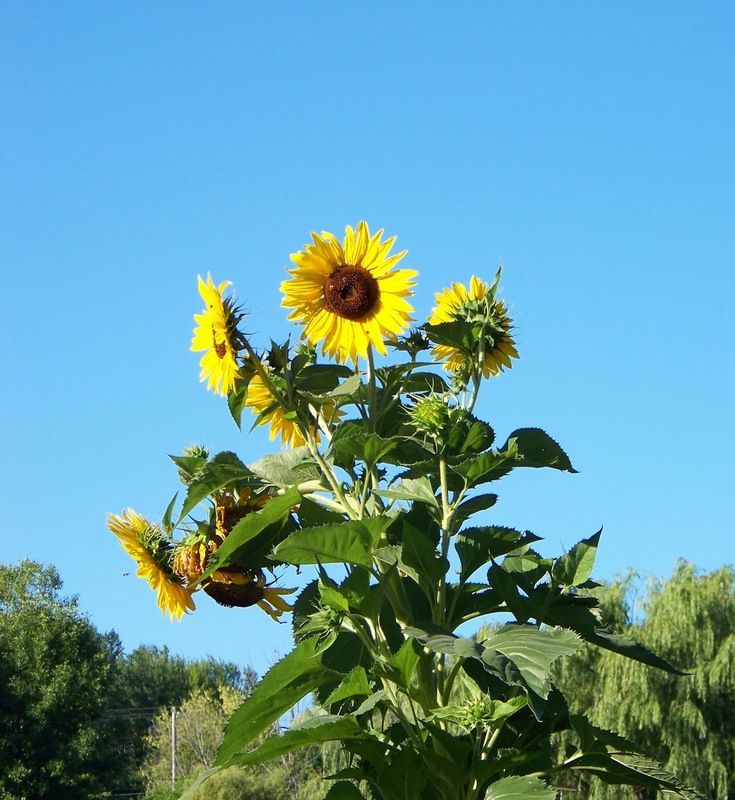 Wild sunflowers tend to be branchy, with several blooms on several branches. “Somewhere along the line,” Wien observed, “people cultivated them to be less branchy.” Single stem sunflowers are increasingly common. Wien notes “Some new sunflower hybrids developed for use as cut flowers are pollen- free;” they will not shed pollen on a table cloth or other treasured household surface. Chris mentioned that, internationally, the most frequent use of sunflowers is as a source of oil. The second most common use is people eating the seeds. He has heard that Russians so love sunflower seeds that in any Russian cinema, the main sound is not cell phones going off but a steady noise of people cracking open and munching sunflower seeds. Bird food is the third most common use of sunflower seeds. Steve is living in New York again. He has four bird feeders filled with sunflower seeds. He writes, “Probably 30 percent of the seeds hit the ground, and nearly all those get gobbled up by the resident squirrels and chipmunks.” “The remaining seeds germinate,” he writes, “in a tight-knit group of plants around the feeder stands.” Steve and his wife have moved some of these plants into their gardens. Some years ago, my wife Dorothy and my mother suggested growing sunflowers in the back yard. The hope was that a wall of sunflowers would suggest Provence or a Van Gogh painting. The plants never grew; a mystery animal clipped them at the base of the stem. 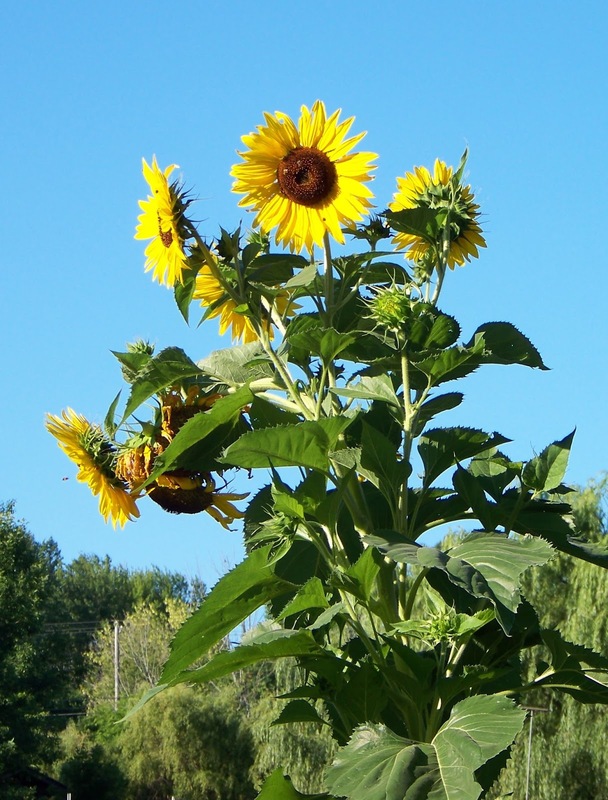 Since then, sunflowers have appeared among my vegetables at the Town of Guilderland’s Community Garden, coming from neighboring plants. Since then my friend Chris rototilled and sunflowers have been popping up everywhere. After trying so hard to get them to grow in the yard, they appear unbidden in the garden and have transplanted surprisingly well. A five-foot giant we gave friends Richard and Nancy shook off the shock of transplanting and started blooming in just a few days. In our yard, sunflowers attract native pollinators. In the Community Garden honey bees swarm them; they even attract the occasional hummingbird. In this photograph, honeybees enjoy the sunflower as a food source! One of the most amazing traits of a sunflower that Chris described is the flower’s flexibility. 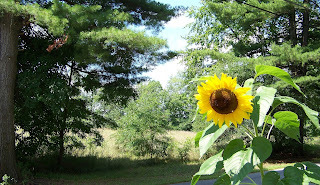 A sunflower bloom can rotate on the stem and follow the sun from morning to sundown. You may see sunflowers on the roadside. I have seen them along New York roadsides and even along the arid freeways in southern California. At first, I thought that transportation departments had included sunflowers in the seed mix. Then, I thought that drivers spit them out the window. I abandoned this hypothesis; it would require a driver to spit the seed across the passenger-side of the car and out the window. Chris’ hypothesis is that these seeds blow off of trucks moving sunflower seeds for other purposes. We are truly blessed by a nature that produces seeds that survive New York winters or California drought! See those rain drops at the tip of this sunflower's leaves? On the East Coast, we are finally getting real rain. At the Guilderland Community Garden, the rain gauge showed nearly three inches of rain since last night. but isn't the intense blue of this flower, near the gauge, something? If you are happy to be getting this rain, you can thank my writing plans for it. 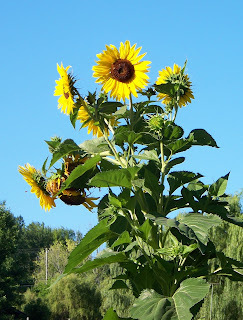 At this time of year, sunflowers are starting to bloom and I thought it would be a good idea to write about how enjoyable it is to see them. The rain is great and let’s hope it continues for a few more days, to make up for the deficit up until now. Those sunflowers will still be blooming by then. Along with the rain, we are enjoying a new backyard neighbor. A young red-tailed hawk decided it wants to watch the yard from the peak of our shed and an oak limb. I hope this hawk is mowing down the small rodent population. Even if he or she is not, it is delightful to see such a big bird so near. The other morning, when I came out, the sound of the door opening startled the hawk and it swooped off across the yard, showing its broad wingspan. The news is filled with lots of fear and bad things lately. But this hawk is a reminder that there is always a potential for things to get better. In the 1960's, hawks, eagles and other birds of prey were on the decline because of pesticides and the perception that they were varmints. The pesticides are gone and people now like birds of prey. 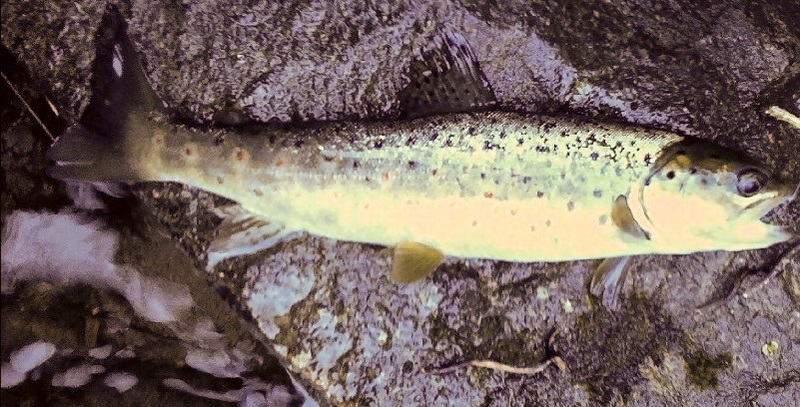 So these species, once on the ropes, are back again - - to the point where they can appear outside the backdoor. That's good news if I ever heard it! 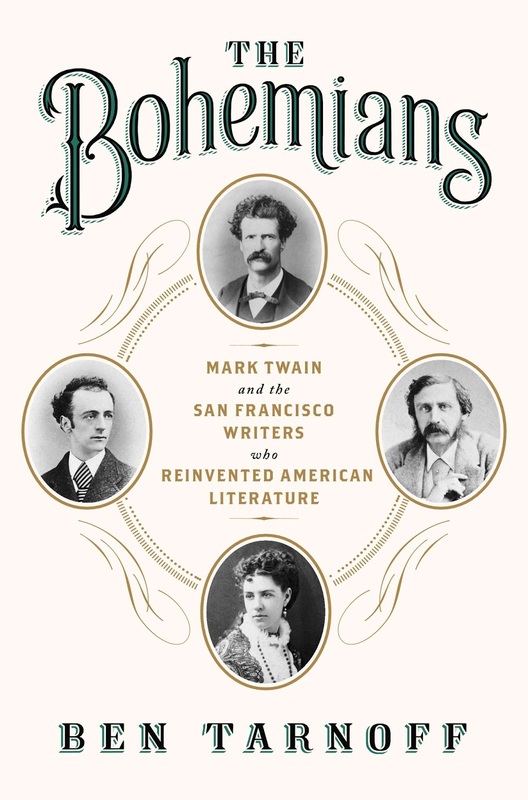 The Bohemians: Mark Twain and the San Francisco Writers who Reinvented American Literature. By Ben Tarnoff. The Penguin Press, $17 for the paperback edition. 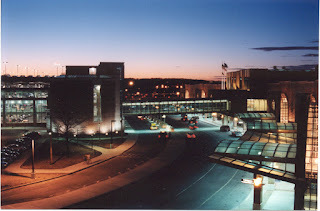 The Random House Webster’s College Dictionary defines “bicoastal” as “occurring or existing on both coasts, esp. on both the E and W coasts of the U.S.” This dictionary and other lexicographers consider the word to have arrived in the 1970’s. Ben Tarnoff’s The Bohemians chronicles the lives of Americans who were bicoastal before the term was invented. Tarnoff describes the intersecting careers of four California writers who became prominent in the 1860’s: Mark Twain, Bret Harte, poet Ina Coolbrith and Charles Warren Stoddard, a poet and essayist. Harte, Coolbrith and Stoddard were California natives. Mark Twain started in Nevada as a newspaper reporter but became a Californian. 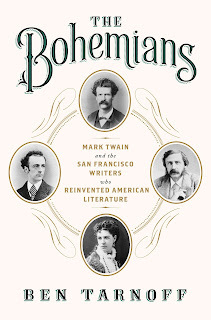 In The Bohemians, Tarnoff shows how Twain, Harte, Coolbrith and Stoddard created a new American writing that shifted the nation’s literary center of gravity from Emerson and the New England writers to the West. Tarnoff offers several reasons to explain how these writers - - and California itself - - exercised such an outsized influence on contemporary American letters. Life in the West offered new literary material not found in the East. As Tarnoff observes, “The land itself inspired a new way of seeing . . . the country beyond the Rocky Mountains was truly another world.” Twain and Stoddard made their way to Hawaii and the South Seas, finding more exotic experiences not found on the East Coast. California achieved a high rate of literacy early in its statehood, which created a vast market of insatiable readers. Tarnoff is a vivid, well-organized and witty writer. He shows how the writings of the four authors arose from their individual talent and the times they lived in, telling the reader just enough about each writer’s literary career and placing it on the stage of what was happening in the contemporary society and economy. Mark Twain, an outsized character, has a tendency to take over any story he gets near. Tarnoff avoids this peril, usually showing his writers as a quartet. 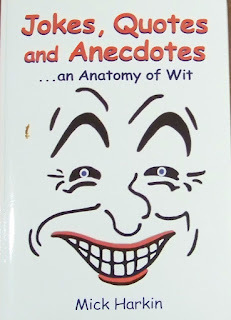 When he first started writing in Nevada, Twain often wrote hoax stories; some violated that journalistic rule to “comfort the afflicted and afflict the comfortable.” Tarnoff’s account of Twain’s bad behavior early in his career rightfully resets Twain’s reputation with this less well-known information. Coolbrith became a librarian in Oakland to support her family. She loved the children she met; her book recommendations to 10-year old Jack London helped shape his writing. Stoddard, who was likely gay, shuttled between San Francisco and the South Seas and stopped writing. As they became famous, Harte and Crane became bicoastal, leaving the West Coast for the East. Twain and Harte came east by train, an improvement over travel by sailing ship or Conestoga wagon. If you are jetting between the coasts - - or can’t travel but want the feel of the other coast - - take Tarnoff along. 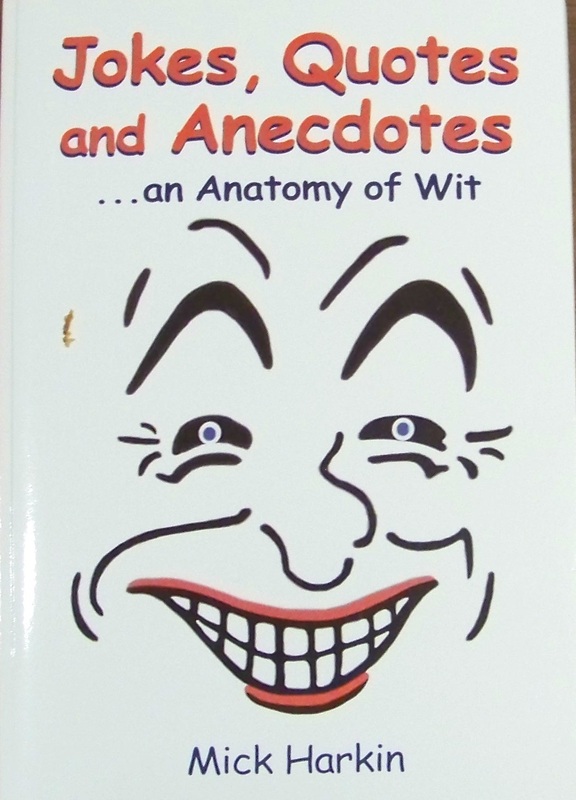 He chronicles these writers and their work in a fast-paced, delightful and well-organized way! Over the last week, I have been reading Alf Evers’ magisterial history, The Catskills: From Wilderness to Woodstock. His well-written book is filled with surprises, reading it is like coming around a corner on a hike and finding something surprising. A surprise that a hiker or angler does not wish to have is to come around a corner meet a bear. Evers, who died in 2004, has a chapter on bears near the halfway point in his book. Some of the stories concern unexpected people/bear encounters in the woods; did you know that poorly sung hymns can be useful when meeting a bear? But the most amazing thing in this chapter is the real story of Ground Hog Day. In popular culture, February Second is celebrated as Ground Hog Day. Depending on whether the ground hog sees a shadow, winter will drag on or end mercifully soon. According to Evers, however, the ground hog is a late arrival to this tradition. 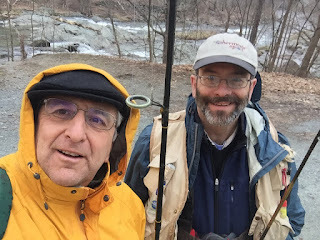 In the Catskills, Evers writes, February second was celebrated “until well into the twentiethĵ century . . . as “Bear’s Day.” He goes on to quote an account of this holiday from the Reverend Charles Rockwell’s 1867 book, The Catskill Mountains. Reverend Rockwell had an answer to this one. It was possible to learn what the bear saw from seeing tracks entering and leaving the bears den. It was also based on observing tame bears that Colonel Lawrence kept at his tavern in Kiskatom. Why do we celebrate February second with an allegedly cute and rolly poly rodent? Evers suggests bears became scarce in the nineteenth century as Catskill wilderness was rolled back by farms and loggers and hunters killed them. Ground hogs typically must live in sunny meadows and fields. 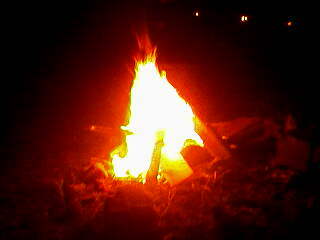 The farmer and hunter set up the conditions for the bear to fade away and for the ground hog to capture the holiday. If we went back to Bear’s Day, ground hogs - - and people - - might be happier. A bear’s large size commands respect and emphatically tells people to keep a distance. By contrast, ground hogs can be unpredictable; in New York City, the Staten Island Zoo celebrates the day with a ground hog named Staten Island Chuck. In 2009, Chuck bit former Mayor Bloomberg. In 2014, Mayor De Blasio dropped Chuck’s stand-in, Staten Island Charlotte. In 2015, Jimmy the ground hog bit Mayor Jonathan Freund on the ear at the Sun Prairie, Wisconsin celebration. After these stories, remind me again. Why I think people will be less inept around bears than ground hogs?